Batac (Ilocano: Siudad ti Batac), officially the City of Batac, is a component city in the province of Ilocos Norte, Philippines. According to the 2015 census, it has a population of 55,201 people. 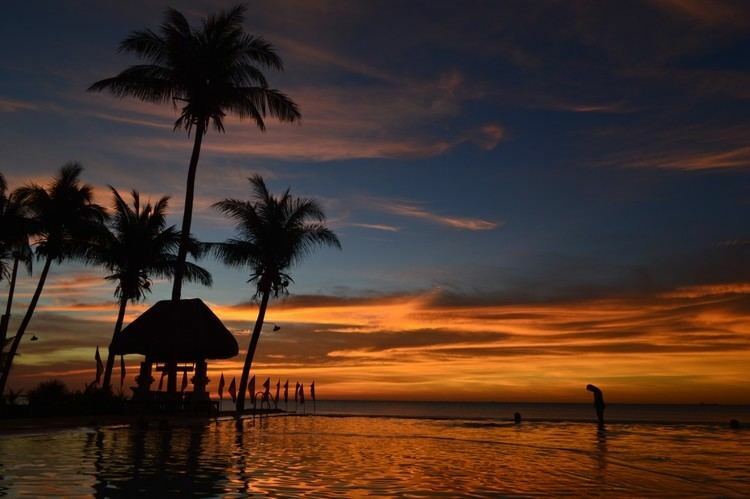 It is located in the northwest corner of Luzon island, about 11 kilometres (6.8 mi) from the eastern shores of the South China Sea. The municipalities of Banna, Currimao, Paoay, Pinili, Sarrat, Marcos and San Nicolas form its boundaries. According to the 2015 census, it has a population of 55,201 people. Batac is known as the "Home of Great Leaders", as it is the hometown of many significant figures in the history of the Philippines. Among them is the former Philippine president Ferdinand Marcos. 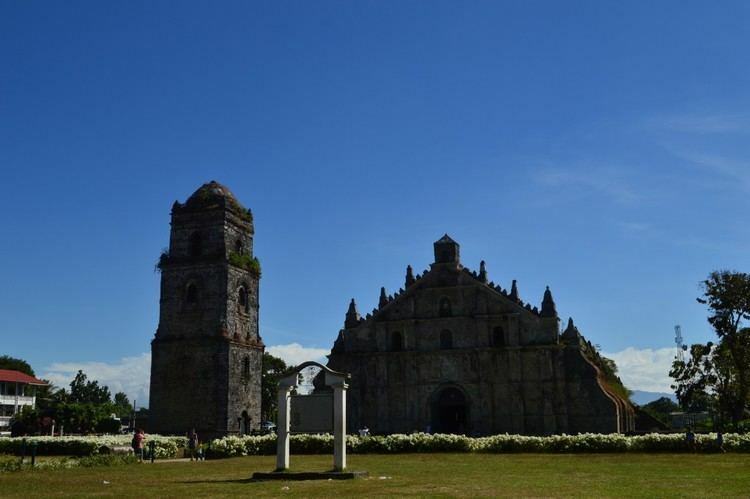 It is also the birthplace of Gregorio Aglipay, the founder of the Philippine Independent Church, better known as the Aglipayan Church, and Gen. Artemio Ricarte, the "Father of the Philippine Army". 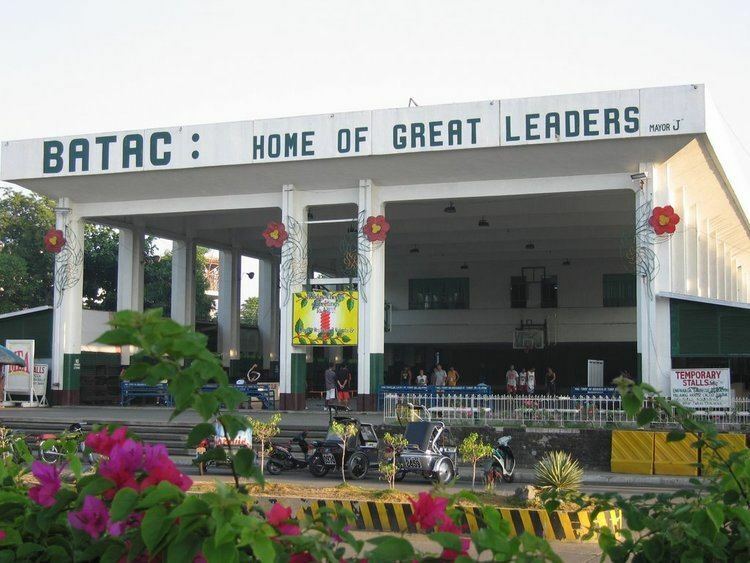 Batac is well known for being the home of the Mariano Marcos State University (MMSU), a high-degree-granting university that has several branches throughout the province. Batac was founded by the Augustinians in 1587 under the patronage of the Immaculate Conception. It is the second oldest town established by the Augustinians in the province of Ilocos Norte. Hence, in 1987, Batac reached its 4th centennial. Batac was officially organized into a ministry on January 5, 1586. The first priest assigned to cathecize the natives of tile community was Esteban Marin, an Augustinian who probably arrived in Batac in 1585. Paoay and Dinglas (Dingras) were then the visitas of Batac. Folk history states that there were two villages in Batac during the early part of tile foundation of the town, one was an Itneg community which occupied sitio Nangalisan and a Christian community occupying San José. The first site of tile poblacion was in San José, which is now called Barangay Palpalicong. It is said that the ethnic minority groups of Bangui and Nueva Era are the pre-Spanish descendants of early inhabitants of Batac. The Augustinians considered the people of Batac more civilized than tile other tribes, because they were better than the other "Indios" in personal cleanliness. The word Batac translates as "pull" in the Ilocano language. More loosely, it refers to "the people's pulling their efforts together." Batac has an interesting colloquial origin of its name. According to a legend, set in pre-settlement Batac, a man fell into a deep hole while he was digging for the root crop "camangeg". He struggled to get out but could not despite his best efforts. He cried for help but nobody was around. He waited for hours and had given up hope of being saved. Fortunately, two men from the neighboring town of Paoay happened to pass by. They heard the man shouting and traced it to where he was trapped. Upon seeing him, they heard the man said "Batakennak! Batakennak!" The two men did not understand until the man explained that he was saying, "Pull me up! Pull me up!" They did just that. When the two men reached their hometown, they told their story to their friends. Since then, the town has been called "Batac," which is derived from the word "batakennak." In November 2008, Batac and 15 other cities lost their cityhood after the Supreme Court of the Philippines granted a petition filed by the League of Cities of the Philippines, and declared unconstitutional the cityhood law (RA 9407) which had allowed the town to acquire its city status. The Supreme Court ruled that they did not pass the requirements for cityhood. Batac is politically subdivided into 43 barangays, 14 of which constitute the poblacion. In the 2015 census, the population of Batac was 55,201 people, with a density of 340 inhabitants per square kilometre or 880 inhabitants per square mile. The Batac City Public Market touted as one of the biggest in the region offers a wide array of goods – freshly picked local vegetables and fruits, handicrafts, tincrafts, pottery, native delicacies, chicharon, longganisa, wet market treats and many others. The Delicia Center, located adjacent to the City Public Market, contains RTW shops, banks, appliance stores, farm supplies, pharmacies, groceries, a lottery outlet and many more. The Delicia Center and the City Public Market form part of the commercial district of Batac City. With the presence of the Central Bank of the Philippines Cash Unit in the Batac City Government Center, financial institutions continue to spawn – Philippine National Bank, RCBC, Metrobank, Land Bank, BPI, Bank of Commerce, BDO and other local banks. Proof that Batac City is offering a good business climate to investors. The Plaza Maestro Complex, one of the most modern shopping centers in the province caters to the needs of the new generation, offering two of the country's top fast food chains (Jollibee and Chowking), several boutique shops, a drugstore and a photo shop, among others. A stone's throw away from the commercial complex are bakeshops and a local pizza house. Batac National High School (BNHS) is the most popular high school in the city. It has three campuses: Poblacion, Bungon and Payao. 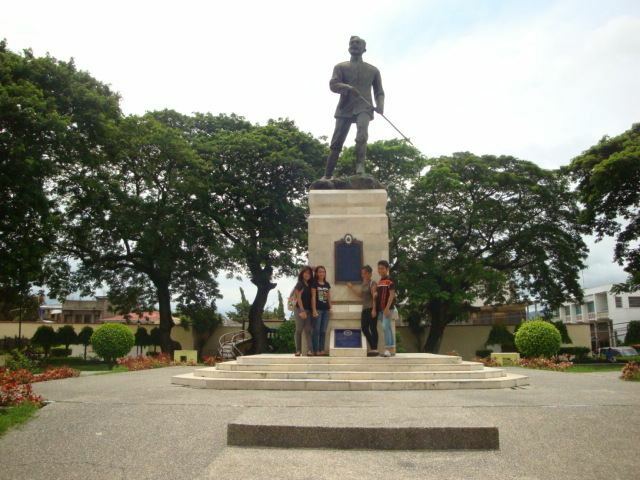 The Mariano Marcos State University (MMSU) is a comprehensive institution of higher learning in the Ilocos Region. MMSU's root anchored deep, its foundation is strong, and its beginnings all proven historical turning points as far back as the early 1900s. The city has one Catholic School, The Immaculate Conception Academy. It was named after Immaculate Conception, the patron saint of the city. It is under the Missionary Sisters Servants of the Holy Spirit (SSpS). It was founded in 1963. It is located beside the Immaculate Conception Parish. The Marcos Museum and Mausoleum lies in the heart of the city. 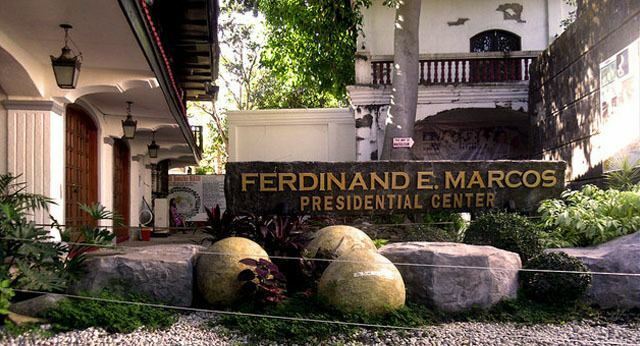 The Mausoleum is where the glass-entombed, preserved corpse of Former President Ferdinand E. Marcos is found. The Museum holds the memorabilia of then President, from his stint in the Armed Forces down to his presidency. Other notable sons of Batac include Gen. Artemio Ricarte, the Father of the Philippine Army and Msgr. Gregorio Aglipay, the founder of the Philippine Independent Church. Monuments and shrines of these heroes had been erected and named after them. The Batac Riverside Empanadaan is a showcase of the most famous product of Batac and a hallmark of tourism promotion. A home of Batac's array of products, gift shops, food stalls offering mouth watering treats like empanada, miki, longganisa, pusit, barbecue and others. Declared by a feng shui practitioner as a very good location to do business in the area, now serves as a "mini pueblo" or a mini-mall where people converge, eat, dine, shop and while the time away. When it comes to Empanada, Batac offers the best. With a distinct taste truly its own, it is made of a savory filling of grated green papaya, mongo, chopped Ilocano Sausage (longganisa) and egg. The dough that serves as its thin and crisp wrapper is made of rice flour. Batac Empanada is deep-fried rather than baked. The city has two festivals, The Farmers Festival and The Empanada Festival. The Farmers' Festival, conducted in the first week of May each year is a celebration of bountiful harvest and a tribute to the farmers of the city. It is participated by the rural barangays of the city. The Empanada Festival is a festivity held on the 23rd of June in celebration of the City's Charter Day. The main feature of the festival is the street dancing which chronicles the process of preparing the delectable Batac Empanada. The Batac City Fiesta, a month-long festivity commencing on the 8th of December, is the longest fiesta in the Province of Ilocos Norte. The fiesta is celebrated in honor of the city's patroness, Our Lady of the Immaculate Conception. The fabulous Electric and Lights Parade marks the beginning of the City Fiesta every December 8.